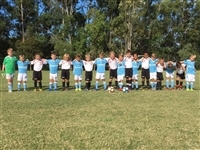 On the 31st April we had the U9 & U11 age groups competing in the Harvey Norman Junior Carnival. it was a fantastic day with over 64 teams and 160 games being played throughout the day! 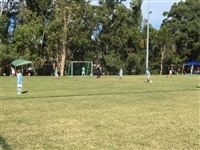 Well done to Magic UTD winning 1:0 in a nail biting grand final, that was thrilling to watch. 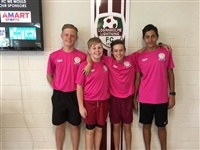 Hamish also won a scholarship with Soccer Fusion Australia Academy. Riley McKenzie from Football Brisbane Team. 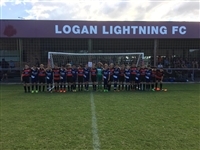 Riley also won a scholarship with Soccer Fusion Australia Academy. Thank you to all the volunteers whom worked tirelessly from 6am in the morning till late afternoon, ensuring all had a fun and pleasant day. without you all this is impossible. it was a fantastic day with 30+ teams played out at Cornubia Park on a lovely Sunday Morning. Well done Zak!! he also won himself a scholarship with Soccer Fusion Australia Avademy. 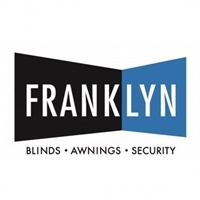 Harvey Norman at Loganholme have come on board as our exclusive sponsor for this fantastic event. After the success of the carnivals being run at Chris Green Park, Beenleigh in 2015 and 2016 we will continue this for 2017. We will be utilizing all four fields at this venue for these carnivals. We will be running two age groups on the one day so it should make for a great atmosphere. 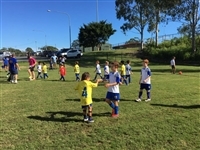 We had over 128 teams participate in 2016 with teams coming from the Gold Coast, North Brisbane and even the Sunshine Coast. 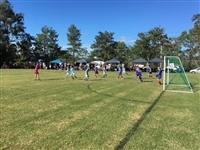 To make it enjoyable for all standard of players we have two distinct pools so all Komodo Dragon Teams will be grouped and all the Gecko and Goanna teams shall be grouped (This applies to U9s and older). This will allow for a reasonable level match and allow all children to enjoy the experience of this great event. 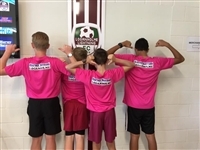 We also launched the “Amart All Star” Concept where all participants regardless of division are eligible for selection in the all-star team of the tournament. Both teams vote each match on the player who performs to help support their team the most. This was a huge success with a varying range of winners across all clubs and divisions. The fields are in amazing condition which allows for great football to be played on the day with full canteen and bar facilities open all day. Please note that Chris Green Park is a licensed venue and the bringing of any alcohol is strictly prohibited. All nominations forms and registration fees must to be paid by the closing date as per above. Entry fees can be paid directly into our account. The entry fee works out to be $15 per player and all teams will be guaranteed at least 4 games.